Yul Edochie joins presidential race – Royal Times of Nigeria. 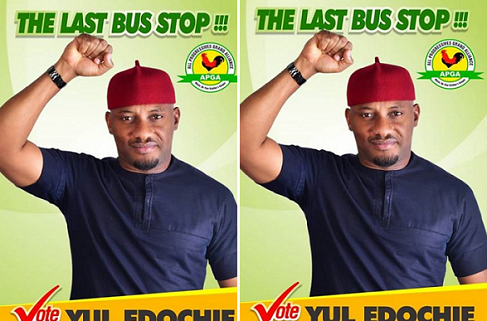 Nollywood actor Yul Edochie after contesting and losing in the last Anambra governorship election, is now gunning for the first office in the country. Edochie is coming out as a candidate in the 2019 presidential election. He made this known this morning. He wrote, ”Today I declare my interest to run for President of the greatest country in the world, Nigeria. A blessed country that has been crippled by decades of bad leadership. Enough is Enough!